WHY DOES JAPAN NEED HELPING HANDS? Monday May 1st 2017 : There will be a charity event, organised by the Japanese Community in Oxfordshire to help communities affected by the earthquakes and tsunami in Tohoku and Kyushu, Japan in 2011 and 2016. Saturday June 25th 2016 : There will be a charity event, organised by the Japanese Community in Oxfordshire to help communities affected by the earthquakes and tsunami in Tohoku and Kyushu, Japan in 2011 and 2016. The event takes place from 12pm to 5:30pm and will be held at Summertown United Reformed Church, which is at 294A Banbury Rd, Oxford, OX2 7HN. Scott Williams has been doing some frankly unbelievably heroic physical challenges to raise money for new Playgrounds of Hope. In April he took part in the 20th Sakura Michi International Nature Run – a 36 hour, 250km hypermarathon from Nagoya to Kanazawa that is recognized as one of the most challenging foot races in the world and as an International celebration of nature and the good will of people from across the world. The race is organized to honor the Japanese bus driver Mr. Ryoji Sato, who dreamed of planting Cherry Blossom Trees along the 266km road from the Pacific Ocean to the Sea of Japan to represent a “Milky Way” on Earth as a symbol for peace across the world. He passed away before he was able to complete his dream, however, the race lives on to honor his dream of peace. The Japanese community in Oxford have held another fundraising cultural event and raised over £1,000 for It’s Not Just Mud. We would like to put this fundraising towards a new “Playground of Hope” which is one of INJM’s main projects. We are hugely grateful to their continued support. If you like Japanese calligraphy (Shodo), origami or great Japanese food then look out for the next one! David Lee has recently spend time with the volunteer group, It’s Not Just Mud to plan further joint projects. They have done a brilliant job restoring two houses which now provide accommodation for volunteers increasing their capacity to include more projects. Amongst these the Playground for Ishinomaki project is moving forward well with the generous financial support of the Stephen Cropper Tohoku Educational Fund. Sarah Outen has recently completed the Japan leg of her round the world tour and is supporting the winter clothes for Tohoku project. We are pleased to accept donations for this project which can be gift aided by completing the form on the donations page. You can follow her trip online and this entry describes her visit to northern Japan. We wish to thank Nuclear Risk Insurers Ltd for their very generous donation of £17,832 which has been passed on to a psychiatric clinic in Soma. 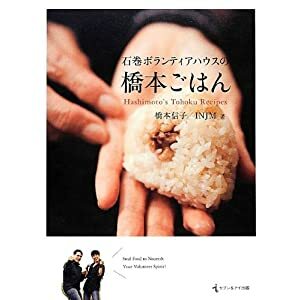 We have updated our volunteer in Tohoku programme which gives free full support to anyone wishing to volunteer in Japan. See HERE for further details. Simon and Satsuki arranged an amazing birthday party after their two sons asked to have donations for Japan instead of birthday presents. The party was based on “Takeshi’s Castle”, a well known Japanese TV programme, and raised over ￡540. One of our trustees, David Lee, has recently returned from a trip to Tohoku and has completed a report which can be viewed here. We are delighted what was achieved on this trip, as described in the report. With a permanent representative now established in Ishinomaki we will continue to fundraise, assist volunteers and support identified causes as much as we can. The Special Needs students at Abingdon & Witney College have done brilliantly in their sponsored event making Origami cranes. To date they have made 640 and their target is to complete 1,000 which will be taken to Japan by David Lee and presented to a school there. Please see the latest press coverage of Helping Hands for Japan, this time in the Japan Times. The children at Woodstock Primary School have produced some excellent calligraphy with messages to be passed on to a school in Japan. A concert held by the children of Hill View School in Banbury raised £303.85. £509.73 was raised at a cake sale at the Nuffield Hospital in Oxford – a fantastic effort!